made of M.S. /S. 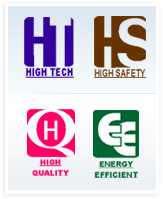 S.
Girish Heat is one of the leading manufacturer of Electric Heaters & Heating elements in India since 1978. Over the years of experience has enabled Girish Heat to design & manufactre more than 250 standard & 10000 custom built heaters. The expertise at Girish Heat allows it to make long lasting, high quality Heaters to suit customer requirements. Design By Dotcom Services India Pvt. Ltd.